According to the Mental Health Association in New York State, 20% of youth aged 17-25 suffer from mental health issues. The state of mental health, especially for the younger generations in the United States has been put under the microscope in recent months. Students in middle school, high school or attending college are under immense pressure as they’re constantly trying to meet the demands of their teachers, parents and coaches. It’s important that everyone working with students at any level understand that mental health first aid should be the first priority. Thankfully the Mental Health Association in New York State (MHANYS) and their Capital Region Project AWARE Community grant is helping to spread the word about mental health with free training programs for individuals working with or supporting transition-aged youth (16-25). Several members of the United Group team decided to take advantage of the opportunity to learn more about mental health first aid and took the eight-hour training course at Schenectady County Community College a few weeks ago. 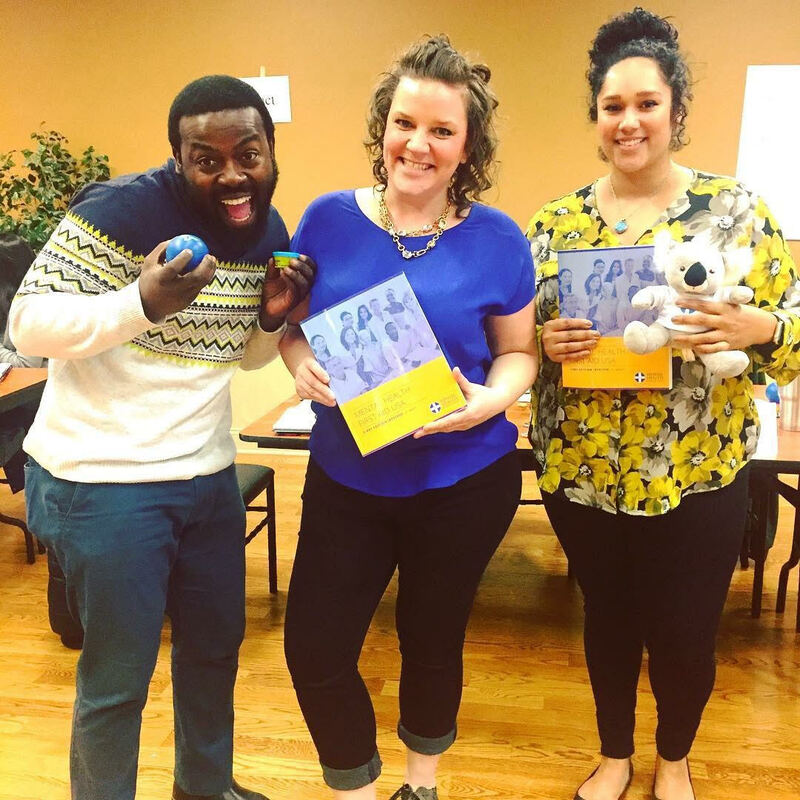 Ashley Wysocarski, Erin Englehart and Justin Hinton are dedicated United Group employees, working at local student housing communities, and were happy to share their experience from the extensive training course. It was amazing training, and I am so thankful for this opportunity to be able to better aid our residents in entirely new ways and for the advancement towards reducing mental illness stigma and better understanding the role we all play in creating a stronger world, together. The course was very informative and hands on. When I finished the course, I had a feeling of relief, knowing that if I was put into a situation I would know how to handle it. The training came into really good use recently when a student had a panic attack, which turned in to tremors/seizure. I was able to speak to the student and walk them through things until the emergency technicians arrived. It was a course that I think everyone should take, whether you use the information in your personal or work life, it will inform you about all the different mental health issues like depression, alcohol abuse, anxiety and more. It added another tool to my tool belt for helping not only our residents, but our community as well. There is so much to mental health that we don’t know, yet there is so much of it that we do have a basic grasp of. Going to this certification just enforced the idea that we have no idea what people are going through mentally or physically. Everything is not always as it seems, and sometimes care and empathy can go a long way with understanding why someone does the things that they do. It explains not only our resident’s reactions to certain situations, but even members of our communities. It’s always great to add a tool that allows us to aid someone until the correct help arrives. I am by no means a medical professional after this training, but I can sustain someone long enough for the help to arrive. I feel as if I am doing my part to serve my community. The United Group, which owns and manages several student housing communities in New York State is proud to offer a management team that lives on-site and are available 24-hours a day to support residents in a time of need.